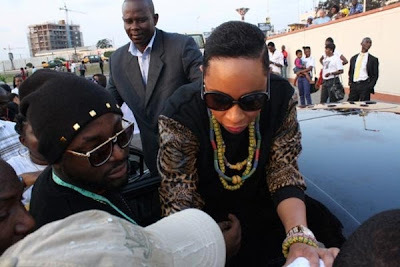 Big Brother Africa – The Chase housemate Pokello Nare received a thunderous welcome in Ghana on Tuesday. 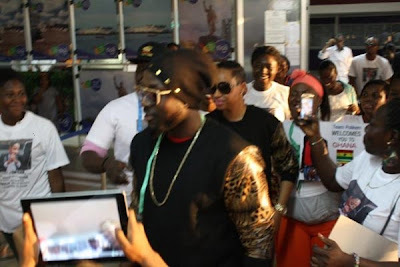 The bubbly 28-year-old socialite, who left Zimbabwe for Ghana with her new lover Elikem Kurmordzi, arrived to a rapturous welcome from the crowd gathered at the Kotoka International Airport. The mother of one is in Ghana to meet Elikem’s family although she has already met his mother and elder brother Troy. According to posts on Team Pokello Facebook page, her Ghanaian fans clad in Pokello designer T-shirts stormed the airport with tape measures around their necks in honour of Elikem who is a professional tailor. 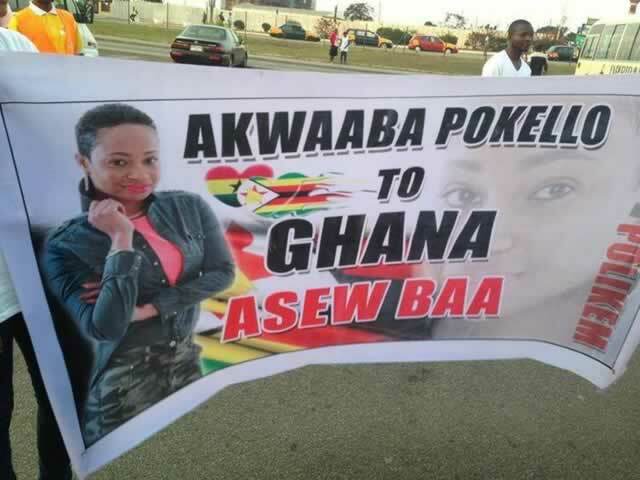 “Pokello was cheered by fans, who had her posters all over,” posted Team Pokello’s fan page. “Welcome Poki to the land of peace and thanks to Team Polikem for the nice gesture bond,” Stella Naadu Nartey posted. However, Elikem who was in Zimbabwe last week, met Pokello’s family and was treated like royalty before he toured Harare and Bulawayo. The couple said they were still to decide on which country to set up home. “We are planning to work together on some endorsements and launching our label ‘Polikem’ for a clothing line. “I need to work on my business. I am waiting for him to pay lobola so that I move in with him, I will let you know soon,” said Pokello. It remains to be seen whether or not the couple is serious or just playing house. Elikem announced he would take Pokello along.